Heavens, Ol' Myrt fell back asleep in the middle of eating her Monday morning yogurt. But now that I'm up and about, I'm looking forward to another "Mondays with Myrt" Hangout on Air. You may watch it here, but it's much better to come over to the DearMYRTLE Genealogy Community on Google Plus, where you may VIEW and COMMENT, and perhaps even JOIN the panel during "scramble". Clicking the URL above will take you to the place on Google+ where Cousin +Russ Worthington watches for comments from the "peanut gallery" to weave into our conversation during the live event. Or you may just sit here and VIEW or watch later. +Bernice Bennett sent me a copy of her brand new book Our Ancestors, Our Stories. She is one of five in a group called The Memory Keepers striving to tell the stories of black ancestors in Southern US history, usually only seen through the eyes of southern whites. "...The Memory Keepers is a correction to this bias. South Carolina's history has too often been written by white elites and about white elites, and often centers on Charleston and the lowcounty, and not on the lives of ordinary people, especially those enslaved in the upcountry areas like the Old Edgefield District." 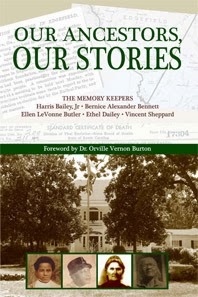 Thank you to co-authors Harris Bailey, Bernice Alexander Bennett, Ellen LeVonne Butler, Ethel Dailey, and Vincent Sheppard for guiding us through their research as they journey to discover the names and stories of their ancestors. Great case studies, but more importantly, preserving heritage. This week we'll explore Google+ and find out WHY Ol' Myrt here thinks "Communities" are more important that "Circles". Last Monday we discussed Facebook "groups" and how to join and pin them to your left side nav bar. This Monday Ol' Myrt here will explain WHY G+ "communities" are the way to go. For instance, Circles work for quick communication with a small specific group of people, but even so, the post will get lost in the Google+ stream. Here's a pretty good write-up on Google+﻿, Beginner's Guide to Understanding Google Plus by Scott Buehler. +Eric Stitt has a new blog titled Genealogy Through Google Earth. Of particular interest, in these short posts is Overlay... Window to the Past. Amy, daughter of James Tanner has been exploring a problem in her now updated post titled FamilySearch is corrupting Sourced Entries: Needs to Stop Immediately. Now that we've pulled information items from each document and cited the source of each, we now face the task of analysis: "What does the information item state or imply?" We must then correlate these findings with information items from in all sources to determine an answer to our research question. Tomorrow's MGP2 (Mastering Genealogical Proof Study Group 2) will tackle Chapter 5 of Dr. Thomas W. Jones' Mastering Genealogical Proof. Tim Birkowski's "I found my biological Grandfather - the smoking gun" on the Sherlock's Genealogical Adventures blog. Jason Crew's series of comments in the DearMYRTLE Genealogy Forum on G+ that began with: "Am I missing something, or would listing a marriage as an assertion from an 1850 census record be incorrect? I was doing it out of habit based on the other census, but when I looked closely I noticed that it doesn't actually state the relationship other than they live in the same household. My other thought would be to include the assertion, but consider it indirect, because of the positioning, age relative to others on the census, gender, etc.﻿"
+Andrew Hatchett's share about Germany and Hangouts on Air "Stupid, Antiquated German Regulations Mean Germans Couldn't Watch Our Google Hangout [...]" on the Tech Dirt blog. We're warming up for Mondays with Myrt, a live Hangout on Air over on Google+. Here's the link to VIEW and COMMENT. Ol' Myrt here will be posting the special link to JOIN the panel in about 30 minutes. After our "Green Room" mic and webcam check, we'll be off and running! 1. UK research sites list from +Hilary Gadsby in both Evernote and Google Drive format. 2. Follow up on a request for Pennsylvania research suggestions. 3. +Elizabeth Shown Mills shares a New York Times article by Claire Martin Preserving Family History, One Memory at a Time. It's about memory prompts from www.StoryWorth.com. 4. Myrt's SD card is getting full. Have you transferred your photos to your computer yet? Attached those tombstone pics to the appropriate ancestors in your genealogy program? Yikes, this SD card has images captured two years ago! 5. 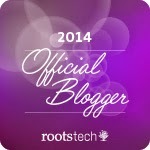 Cousin +Russ Worthington spotlights The Legal Genealogist +Judy G. Russell's post this morning An image citation how-to. 6. The Maryland Genealogical Society recommends via Facebook Irish Genealogy - Tracing Your Family Tree and History in Ireland by Kimberly Powell in her New York Times blog post. Let's see where the conversation takes us today! 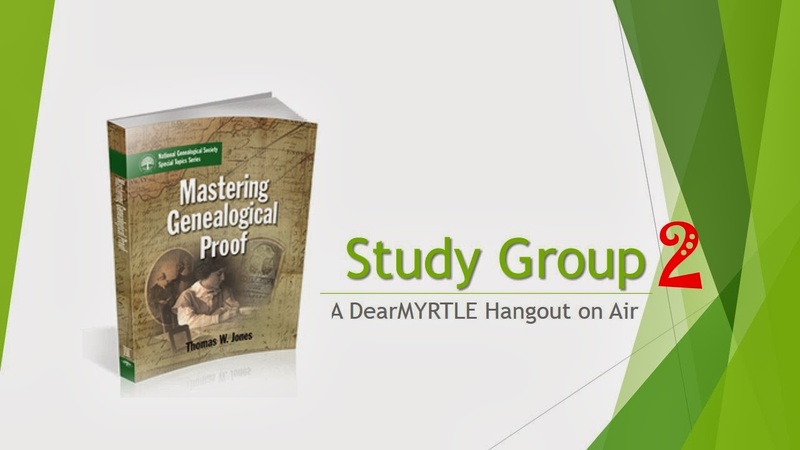 Perhaps you are doing the same thing today-- reviewing Chapter 3 for our Mastering Genealogical Proof Study Group session this coming Saturday. It certainly helps to have two (!) archived sessions from MGP1. Chapter 3 GPS Element 1: Thorough Research proved a tad tricky for last year's participants, so we spent 2 weeks on it. We've scheduled time to do that this time around if necessary. We're working through Thomas W. Jones' Mastering Genealogical Proof available in book format from www.ngsgenealogy.org and in Kindle format through Amazon.com. 1. Between now and Sunday's session, review MGP1 - Chapter 3 video here and MGP1 - Chapter 3 Revisited video here. https://plus.google.com/b/102461242403735457058/102461242403735457058/posts/bR5ExTHmaqH You must be a member of this free genealogy community. Many friends in North America are snowed in today, with reports of new storms in the forecast. Just read the National Archives (US) is closed due to severe storm warnings. So keep warm, grab a cup of hot chocolate, and join us for Mondays with Myrt. Are you joining Lisa Alzo in the Fearless Females fun this March which is National Women's History Month? Gena Philibert Ortega reports via Facebook: "This year in honor of Women's History Month I'm posting a book a day to help better understand our female ancestor's lives." You can check it out on Gena's Genealogy. Carmel Galvin originally shared via a public post to Google+ this method of adding citations to newspaper clippings over on the Library Currants blog.﻿ (Hint: Jing from Tech Smith is part of the equation.) Here's the link: http://librarycurrants.blogspot.com.au/2014/02/adding-citations-to-images.html. Genealogy Standards Comparison Chart: New versus Old Standards. Genealogy Standards Comparison Chart: Old versus New Standards. when you click on the link above. "BCG first codified genealogical standards in The BCG Genealogical Standards Manual in 2000. It updated, reorganized, expanded, and clarified those standards in Genealogy Standards in 2014. These two charts offer a comparison of the new and old standards for users wishing to familiarize themselves with the changes." The Board for Certification of Genealogists (BCG) has announced adoption of its new standards manual for use in its evaluation process. Effective today, new applications for certification will be evaluated against the new Genealogy Standards, a major revision of genealogical standards released by BCG in February. Individuals who have already submitted a preliminary application are exempt from this change unless they elect otherwise or apply for an extension. The newly revised standards will also be used to evaluate the work of existing BCG associates whose renewal applications are due after February 2015. Eighty-three standards in the new manual establish criteria for all phases of genealogical work, including documentation, research planning, data collection, reasoning from evidence, writing, lecturing and continuing education. The standards reflect the same principles as those originally published in The BCG Genealogical Standards Manual fourteen years ago but are reorganized, updated, expanded and clarified. As the standards are at heart unchanged, genealogists whose work meets the old standards should meet the new standards as well. The revision, however, means the new standards offer superior guidance as to the qualities necessary for credible genealogical work. BCG’s announcement is accompanied by release of a new application guide. The new guide makes no changes to the type of work applicants for certification must submit but has been updated to reflect the new standard manual’s renumbering of most standards. The rubrics, an evaluation tool used by BCG’s judges, have been similarly revised. To help researchers familiarize themselves with the recent changes, BCG has also released two charts that compare the new and old standards. They can be downloaded from the “Skillbuilding” page of BCG’s website at http://www.bcgcertification.org/skillbuilders/index.html. BCG, an independent credentialing body, was founded in 1964 to promote standards of competence and ethics among genealogists and to publicly recognize individuals who meet those standards. It certifies genealogists in two categories, a core research category, Certified GenealogistSM, and a teaching category, Certified Genealogical LecturerSM. The standards it has articulated are widely recognized as benchmarks for all genealogists who wish to produce accurate research, not just for those seeking certification. The new manual is billed as a fiftieth-anniversary edition to celebrate the board’s fifty years of dedication to genealogical excellence. 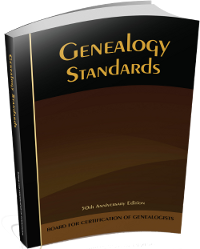 Genealogy Standards, fiftieth-anniversary edition (Nashville, Tennessee: Ancestry, 2014), may be ordered by visiting http://www.bcgcertification.org/catalog/index.html. The BCG Application Guide, 2014 edition, and the revised rubrics can be downloaded from the BCG website for free. Whether you plan to take clients or to pursue genealogy research as a hobby, adhering to Genealogy Standards ensures your work is "up to snuff".